(RxWiki News) If you are pregnant, your child is what you eat. That may not be news, but it appears that the effects of your diet while pregnant continue after a child is born. A recent study found that the amount of certain fatty acids in pregnant women's bodies was linked to their children's body mass composition years later. Mothers with lots of omega-6 fatty acids had chunkier kids with higher body fat percentages. Mothers with lots of omega-3 fatty acids had kids with higher muscle mass measurements. Both these types of polyunsaturated fatty acids are important to the body, but women may want to be sure they balance them in their diets. The study, led by Rebecca. J. Moon, a Clinical Research Fellow at the Medical Research Council Lifecourse Epidemiology Unit at the University of Southampton in the United Kingdom, involved 293 mothers and their children pulled from a larger group of 1,987. Only the mother-child pairs who had full measurements were included in the study. The researchers measured the levels of polyunsaturated fatty acids in the women when they were 34 weeks pregnant. Polyunsaturated fatty acids provide energy to various organs and to store fat in the body. 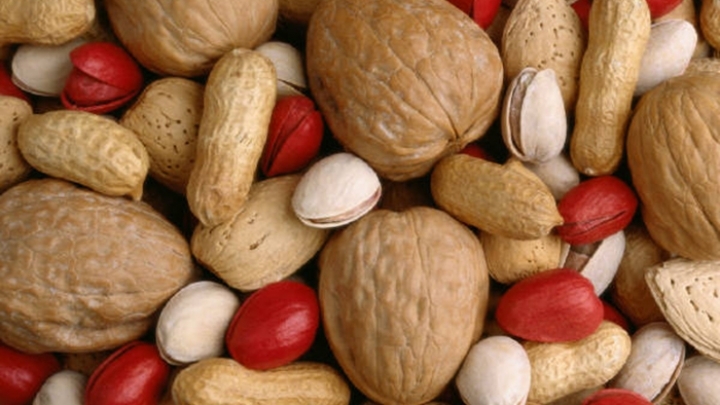 They are found in fish, nuts, soybeans and various plant oils, such as corn, sesame and soy. The researchers then assessed the body compositions of the women's children when the kids were 4 and 6 years old. They measured the child's fat mass and lean (muscle) mass. The researchers compared the the amount of polyunsaturated fatty acids in the mothers' blood to their children's body compositions, making adjustments to account for the children's height and how long they were breastfed. They found that mothers with higher amounts of omega-6 fatty acids had children with higher percentages of body fat at ages 4 and 6. There was no connection between the mothers' omega-6 fatty acids and the amount of muscle mass in the children. Meanwhile, the amount of omega-3 fatty acids the mothers had was not associated with the children's fat mass, but it was associated with their muscle mass. The more omega-3 fatty acids the moms had, the more muscle mass their children had. However, this link appeared influenced by the children's height as well, so it's hard to distinguish whether a kid's muscle mass was more linked to the mother's omega-3 fatty acids or more to the child's height. "These results suggest that alterations to maternal diet during pregnancy to reduce [omega-6] polyunsaturated fatty acids intake might have a beneficial effect on the body composition of the developing child," said co-author Dr. Nicholas Harvey in a statement about the research. The omega-3 fatty acids are found in sardines, salmon, flax seeds and walnuts. The omega-6 fatty acids are found in chicken, seeds, nuts and vegetable oils. The study was published in the January issue of the Journal of Clinical Endocrinology and Metabolism. The research was funded by the Medical Research Council, the British Heart Foundation, Arthritis Research UK, the National Osteoporosis Society, the International Osteoporosis Foundation, the Cohen Trust, The Food Standards Agency, the National Institute for Health Research (NIHR) Southampton Biomedical Research Centre and NIHR Musculoskeletal Biomedical Research Unit at the University of Oxford. One author has consulted for Abbott Nutrition and Nestle Nutrition. Three other researchers have received research funding from Abbott Nutrition, Nestec and Danone. Another author consults or advises Danone, Aker Biomarine, Mead Johnson Nutritionals and Vifor Pharma, and has received funding from Vifor Pharma and speakers' fees from Abbott Nutrition, Nestle, Unilever and DSM. Another author has consulted for Bayer. Five authors had no disclosures. Journal of Clinical Endocrinology and Metabolism, "Maternal Plasma Polyunsaturated Fatty Acid Status in Late Pregnancy Is Associated with Offspring Body Composition in Childhood" FitDay, "What Are Polyunsaturated Fatty Acids?"